Many students don't consider air to be matter. 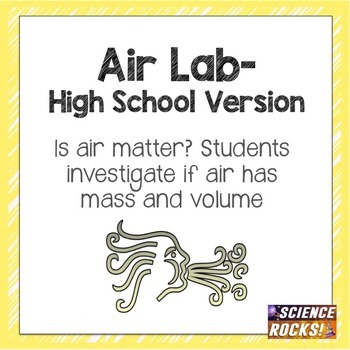 This lab explores if air has mass and volume. Materials needed (per group): 2L bottle, balloon, straw, triple beam balance, tape. Students always love this lab because they think they can blow up a balloon inside of a 2 liter bottle. They are shocked when they can't! By the end of this fun lab students will understand that air takes up space and has mass when measuring on a triple beam balance. This purchase includes a lab worksheet and a SMART notebook presentation to go along with the lab. Enjoy!